Can I just say that I'm LOVING the bright colored pants trend? Seriously. And the beauty of having children is I can love it on more than just myself. This blue for me? I don't know if I have the guts to do it, though. Sparkly pink for Miss Madi-- already purchased! 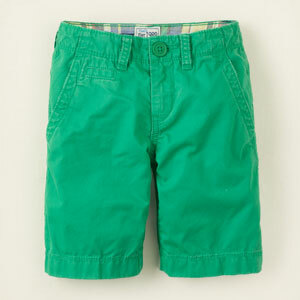 Bright green chinos for the boys! I love this shade of green. These colors are so yummy it makes me hungry just looking at them! Speaking of color, add some to your wrist. Our give away ends Friday. Enter here! now all i need is for some sunshine! soo cute, i really want to get me some bright pants! I love the colored pants trend too! It looks so cheerful! Those are so cute for your little kiddos! I put on a pair of colored jeans on Tuesday, Loved them but didn't get them. I am still contemplating. 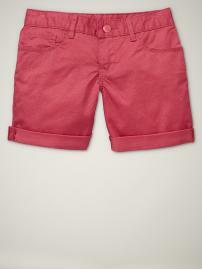 I just bought bright blue shorts - love them! You can do it! YES!! That blue us totally for you! I think you'd look great in those blue pants or jeans!! YES!! to the bright pants! !